John Cena Brings Back "Dr. Of Thuganomics" Gimmick For WrestleMania 35 Segment (Video) - Wrestling Inc.
John Cena brought back his "Dr. of Thuganomics" gimmick at WWE's WrestleMania 35 pay-per-view tonight. 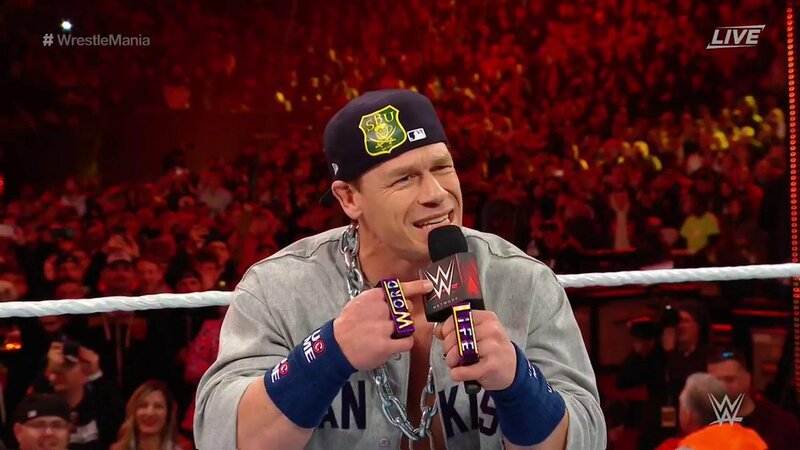 Cena originally used the hip-hop gimmick from 2002-2003. He interrupted Elias' musical performance at WrestleMania 35 tonight and proceeded to insult Elias with a rap. Cena had been rumored to be the special guest referee for WWE Hall of Famer Kurt Angle's Farewell Match against Baron Corbin, but that never happened. Corbin actually won that match. Nah, I'm not really feelin' it.